Life in the sky just keeps getting better for the 13% of us who fly under the influence of two X chromosomes. The latest development? 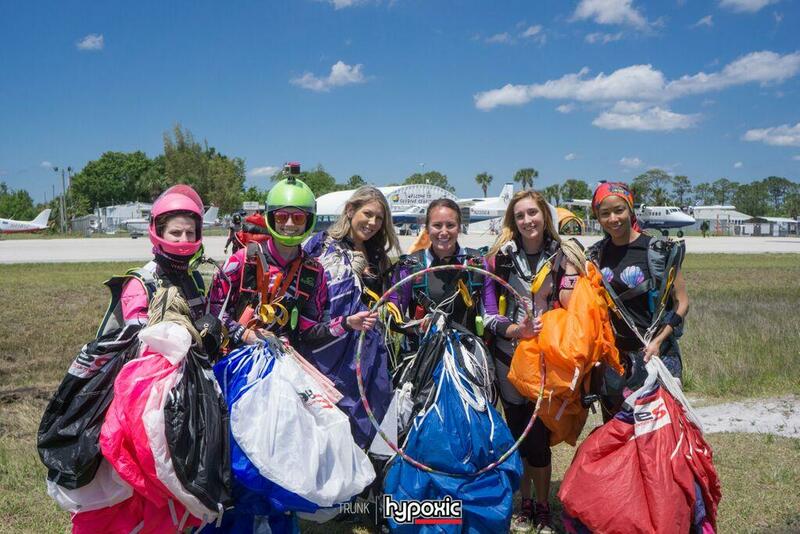 Aeronautrixx -- a 501(c)(3) nonprofit, founded by skydiver//adventurist Karen Woolem. The org’s goal, as Karen puts it, is “providing education, guidance, sponsorship and resources to help women pursue their aeronautical dreams in a fun and safe manner.” Those are lofty goals, indeed, but Karen -- who is as well-organized as she is dynamic -- isn’t the type to shoot low. To understand where Aeronautrixx is coming from, of course, you first have to understand a little bit about its founder. 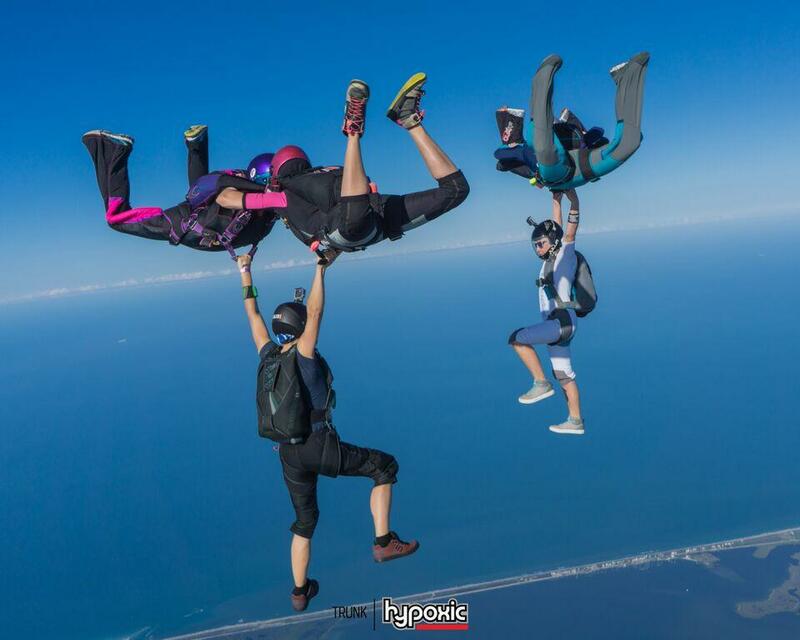 Karen started jumping 28 years ago, led by the example of her skydiver father. She was 15, and they’d make the long trek down to Skydive Paso Robles from the Monterey Bay Area because Paso was the only driveable DZ that would let such a young pup jump. She made a few less than 100 jumps in that first phase and stopped jumping in 1993, when her rig was grounded. 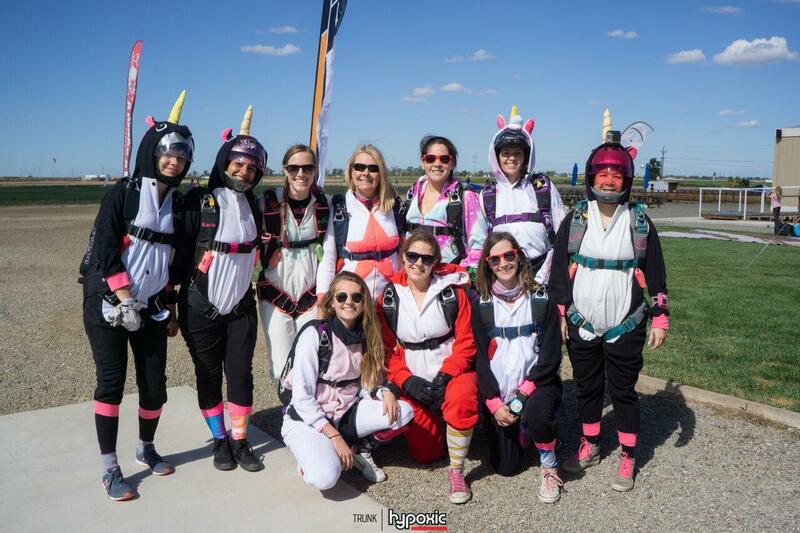 Aeronautrixx, interestingly enough, was born of that other major step forward in female-focused skydiving: the Women’s Skydiving Leadership Network. Back in 2016 (when the WSLN was first officially formed), Karen was selected for the first WSLN leadership symposium. She spent a week at Raeford with the event, soaking up the skills, the vibes and the connections. As part of that program, Karen designed a logo for a WSLN t-shirt. The image was strong, feminine, colorful and balls-out bold. She loved it. While a different logo was selected for that original purpose, Karen couldn’t help but realize that she’d created the logo for an effort that was gathering steam in her own imagination. Specifically, she was pondering a personal challenge she’d faced as a female, coming back into the sport: Finding a used container that fit both her and the canopy size she was comfortable with. She’d found it damned near impossible. She realized that there was a solution -- and that she could catalyze it. So far, it’s a home run. Aeronautrixx just got a complete setup donated and matched it with a woman who just graduated AFF. Boom. It’s not just containers, either. Karen has partnered up with a craftsman who completely refurbishes and repaints helmets with airplane-grade paint, and those helmets have been gracing the sky in larger numbers with each passing season. In addition to that, Karen is currently working on getting a few complete demo systems co-sponsored with manufacturers. 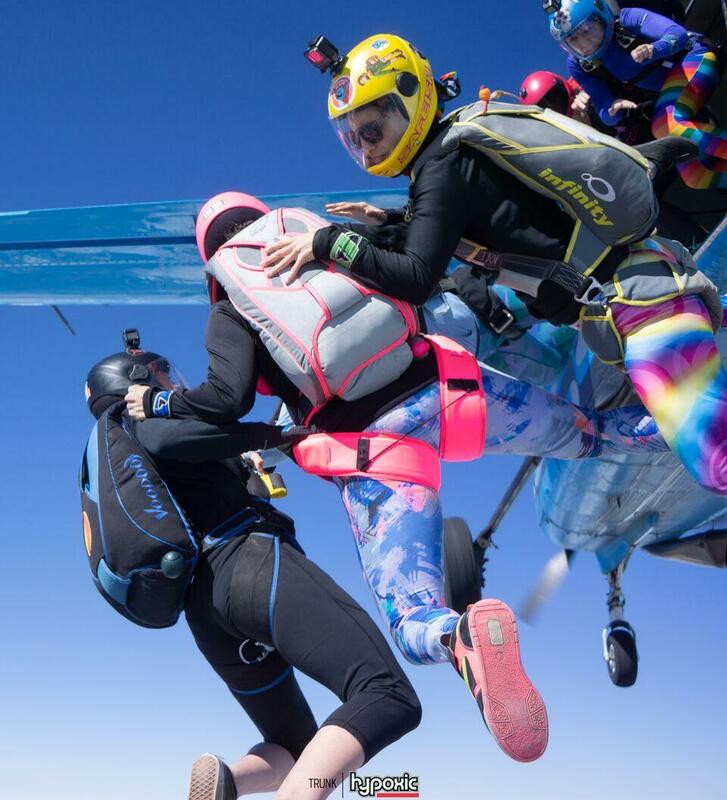 Of course, it’s not just gear that makes a skydiver — so Aeronautrixx covers the skills bases, too. These days, Karen is a WSLN mobile mentor, dually based at Skydive Sebastian (near her current home) and Skydive California (near her west-coast roots). For the past three years, she’s been using Aeronautrixx as a platform to host female-focused skills camps and boogies on both coasts. 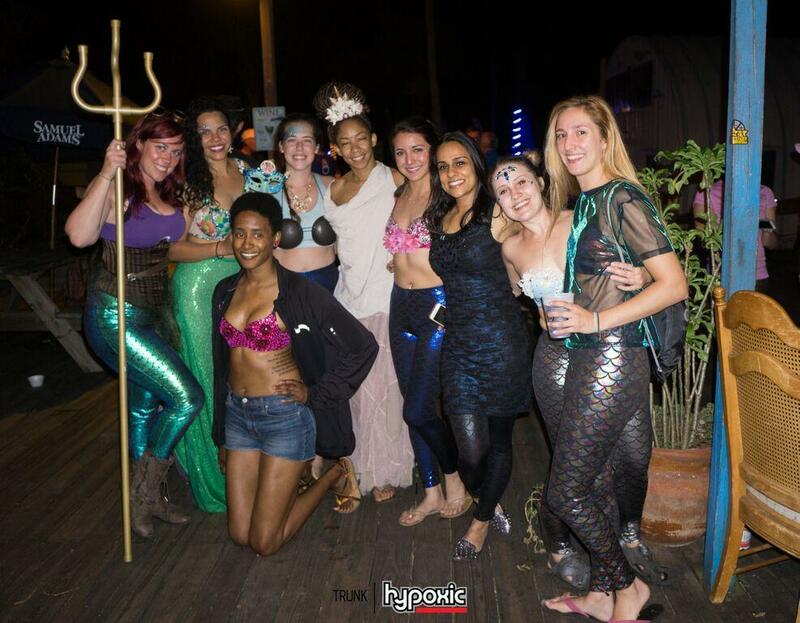 In October, there’s the Unicorn Boogie at Skydive California; in April, there’s the Mermaid Boogie at Skydive Sebastian; this February (coming right up!) there’s going to be a gold-lamé-festooned disco party at Z-hills. The boogies’ shared core value? Bring women together -- from all over -- and encourage growth and fun in equal measure. The response so far has been phenomenal. The formula is certainly working. At the first Mermaid Boogie, Karen was standing in a packed hangar. Stopping in the middle and looking around, she suddenly realized something amusing. “I looked around and it occurred to me, there were no men. We’re turning the Otter with all chicks.” They turned 22 loads that day. At the end of the day, Karen insists that Aeronautrixx is about inclusion. Men are welcomed at Aeronautrixx events -- even issued cheeky “man cards” -- and the sea of costume onesies now includes a fair number of male humans. That’s not at all surprising, considering the unequivocal language of the Aeronautrixx mission statement: “We believe that women can be just as, if not more, badass as our male counterparts.” Well-put and well-proven, no?